The Milwaukee Bucks are a happy accident. They were on the bullet train to nowhere until they had the idea of drafting Giannis Antetokoumnpo, combo forward extraordinaire and real-life heir to Stretch Armstrong. They’ve built on the momentum admirably well since then and now have a team that is not only competitive in the East, but that is also pretty darn cool to watch. They are going to need Jabari Parker’s shooting though if they want to make it work with Greg Monroe down low. Monroe got away from Detroit because there were too many chiefs in the low block and he’s not at his best when people cramp his space on the block. The Monroe/Parker pairing worries me defensively though. They’re slow footed dudes and Monroe has finished dead last over the last year in rim protection. 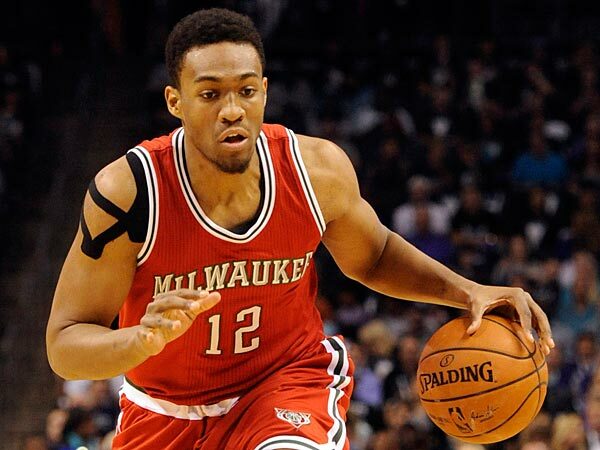 It’s going to be interesting to see what this Bucks squad can do, this season with Jabari Parker on the floor. They finished sixth last year mostly due to Jason Kidd’s creating coaching and it’s not out of the picture to get an even better seed this year. I don’t think they’re going to get very far in the playoffs because Cleveland, Atlanta, Washington and maybe even Miami still have the Eastern Conference in a stranglehold, but the Bucks are young, they keep drafting smart (Rashad Vaughn is another great acquisition) and they are going to gnaw their way up in the ranking over the seasons and keep asses in the arena’s seats. Gotta love a team that fights for everything they get.